Pittston native and future Hall of Famer Hughie Jennings, then the manager of the Detroit Tigers, signed the 19-year-old Harris to his first contract in 1916 and farmed him to the Class B Muskegon Reds of the Central League, where he struggled as a batsman and was released. 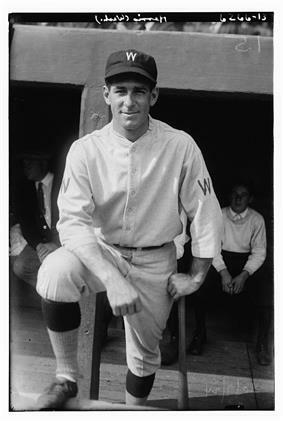 Harris then caught on with the Scranton Miners, Norfolk Tars and Reading Pretzels through 1917, before reaching the highest level of minor league baseball with the 1918–19 Buffalo Bisons of the International League. Harris improved his batting skills during the latter season with the Bisons, making 126 hits and raising his average to .282. His initial departure from the Senators in 1928 (he would twice return to manage them again from 1935–42 and 1950–54) came as a trade to the Tigers as player-manager. However, for all intents and purposes, 1928 was his last year as a full-time player. He only made 11 cameo appearances in the Tiger lineup—seven in 1929 and four in 1931. He also managed the Tigers twice (1929–33 and 1955–56), Boston Red Sox (1934), Philadelphia Phillies (briefly known as the Blue Jays, 1943) and New York Yankees (1947–48). Harris then spent three seasons (1944–46) out of the Major Leagues as general manager and field manager (in 1944–45) of the Buffalo Bisons, his old team in the International League. In August 1946, the Yankees' co-owner and GM, Larry MacPhail, appointed Harris to a front-office position. Harris returned to the Yankees in Casey Stengel. Stengel would lead New York to ten American League pennants and seven World Series titles in the next 12 seasons. Harris returned to the minor leagues in 1949 as manager of the San Diego Padres of the Pacific Coast League, before launching his third stint as skipper of the Senators, coming off a 104-loss 1949 season. He led them to a 17-game improvement in 1950, and to a winning (78–76) mark in 1952, but the Senators could not escape the second division in Harris's five-year, final term as Washington's manager. Nevertheless, the Tigers chose Harris to replace Fred Hutchinson as their manager for 1955, and in the first season of his second term in Detroit, Harris again produced a turnaround. The 1955 Tigers won 79 games (eleven more than in 1954) and had their first above-.500 season since 1950, then won 82 games in 1956. But the Tigers finished fifth each season, and were experiencing turmoil in their front office, with owner Walter Briggs, Jr., in the process of selling the team. Fired by new owner Fred Knorr, Harris closed out his 29-year MLB managing career with a win-loss record of 2,158–2,219 (.493). As of 2014, Harris ranked seventh in MLB manager career wins. Harris's two highest-profile trades saw him send left-handed pitcher and former bonus baby Frank Baumann to the Chicago White Sox and catcher Sammy White to the Indians. But Baumann led the AL in earned run average with the 1960 Chisox (while the player Harris obtained, first baseman Ron Jackson, played only ten games with Boston before being traded away again) and White abruptly retired rather than report to Cleveland, canceling his trade. Harris also ran afoul of Yawkey when he fired Yawkey associate Pinky Higgins as manager and replaced him with Billy Jurges, a Senators' coach, on July 3, 1959, without consulting the owner. Harris' father-in-law was Howard Sutherland, former U.S. Senator from West Virginia. ^ a b c Kashatus (2002), p. 76. ^ a b c Kashatus (2002), p. 74. ^ Kashatus (2002), pp. 74–76. ^ a b Kashatus (2002), p. 75. ^ a b c d e f g h "Bucky Harris". Baseball Reference. Sports Reference. Retrieved September 18, 2015. Kashatus, William C. (2002). Diamonds in the Coalfields: 21 Remarkable Baseball Players, Managers, and Umpires from Northeast Pennsylvania. Jefferson, NC: McFarland & Company. ISBN 978-0-7864-1176-4.